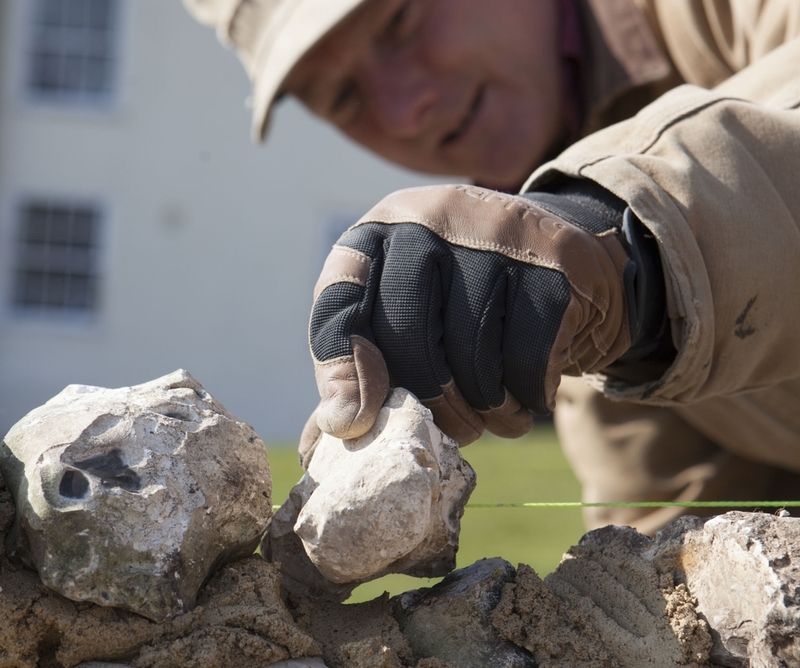 Flint has been used to build durable walls for centuries across a band of south-east England from East Anglia to Dorset and the South Downs. Lynn Mathais has been working with flint since he was 16. Then he helped his father repair the flint section of a medieval tithe barn in Bedfordshire. "I love my job, I like working outside in the warmer months and I like the creative aspect of the job. It is truly rewarding to restore something to its former glory," he says. The tools and processes he uses are unaltered since medieval times. The only modern additions are a spirit level, a knee pad, gloves and goggles. Flint has been worked for building since Roman times. It was used in the construction of Saxon and Norman churches. Then in the 14th century it began to be used with other materials to create a more decorative finish. 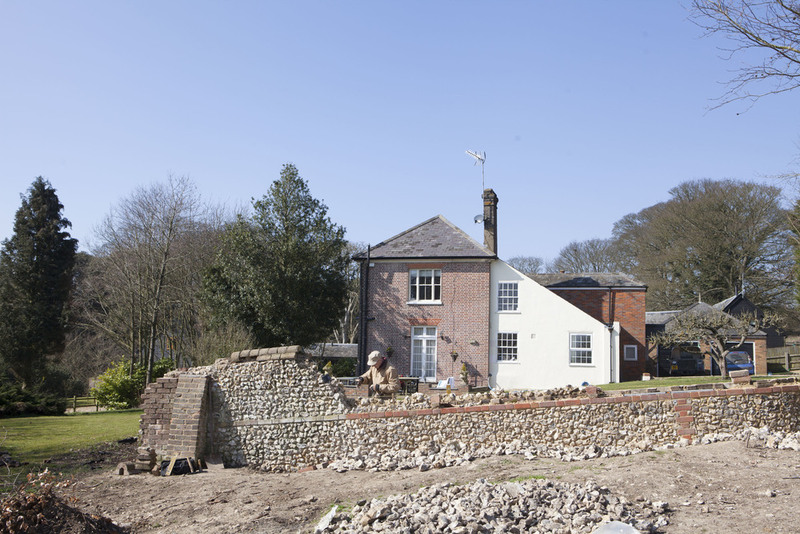 The Victorians used flint in a whole range of buildings, from cottages and church restorations to country houses. The full feature about Lynn and flint walling originally appeared in the Mar / April 2016 issue of LandScape. For back issues click here.